We are working hard to get our website up and running. Until then check-out our Facebook and our Instagram. Looking for a new exciting way to work out? To make new friends in Rotterdam? To get tough? Try out Roller Derby! Come to our Fresh Meat Try-out on Friday March 1st, 2019 (19:00 – 21:00) @ Sportcentrum West. 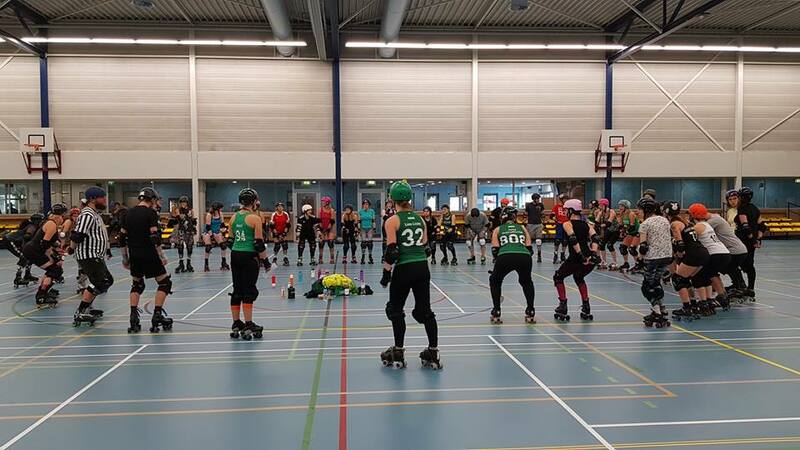 Rotterdam Roller Derby is organizing a roller derby Open Training for new skaters, referees and non-skating officials. Come rock the track with us, make some new friends and we will teach you all you ever wanted to know about roller derby. Afterwards, we’ll close the training by having a drink. 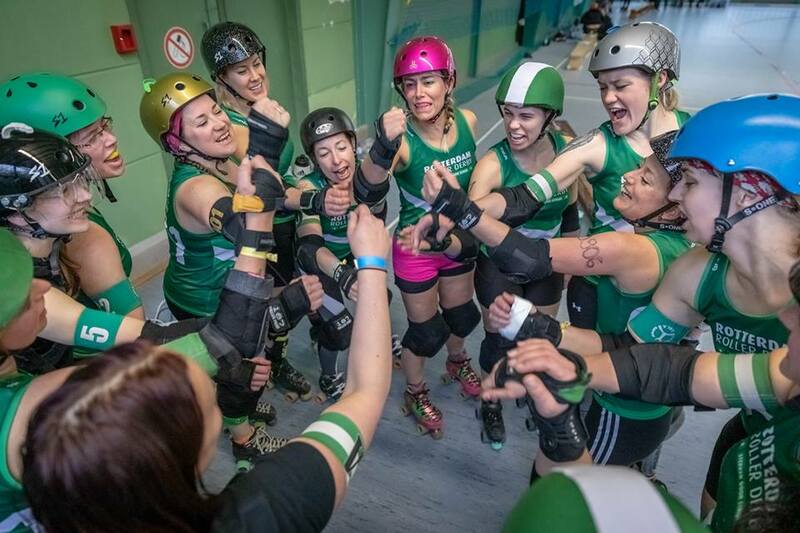 Roller derby is a contact sport played by two teams of five members roller skating in the same direction around a track. Game play consists of a series of short match ups (“jams”) in which both teams designate a scoring player (the “jammer”) who scores points by lapping members of the opposing team. The teams attempt to assist their own jammer while hindering the opposing jammer—in effect, playing both offence and defence simultaneously. Want to know more? Check our this video! People of all genders are welcome, NO EXPERIENCE IS NEEDED AND NO CONTACT UNTIL YOU’RE READY!! We do however require you to be 16+ to skate. Participation is free! Just send an email to sign up. Renting skates and protective gear is possible, gear rental will cost you 5 euro, please notify us beforehand through e-mail. You will also need to have a mouth guard whilst skating, you can buy one from us for only €5. Sign up by dropping a line at rrd.opentraining@gmail.com, all additional info will be send to you.